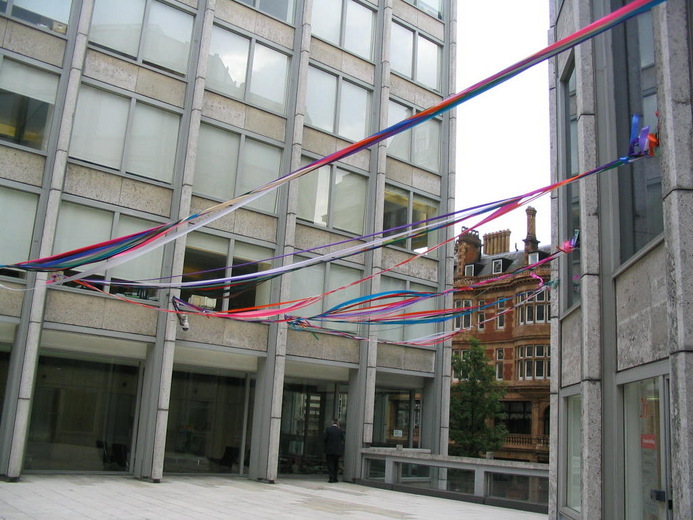 For the summer exhibition in the outdoor space of The Economist Plaza at 25 St James’s Street, Peter Fillingham presented Untitled 2004, an installation of a variety of multi-coloured ribbons suspended across the plaza space. 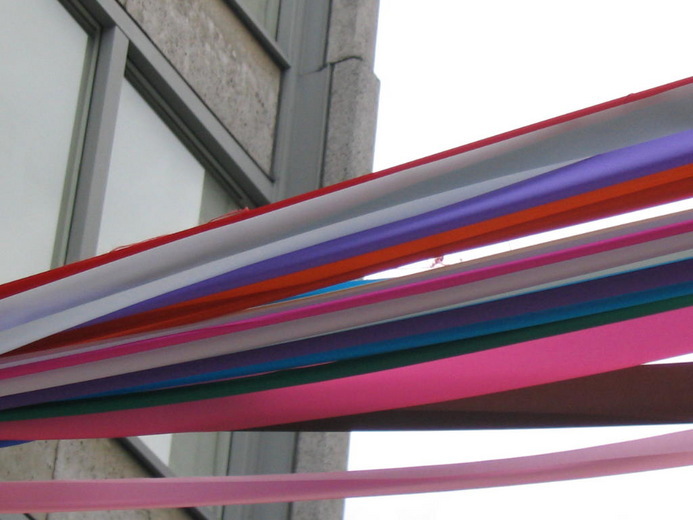 The Plaza space appeared either to be in preparation for, or in the aftermath of, a traditional village fete devoid of home-made lemonade, a raffle or cake stand. Bringing rural Britain into the Smithson’s modernist landscape, Fillingham questions the urbanisation of culture. Fillingham has exhibited widely, most recently as part of Sharjah International Biennial 6.